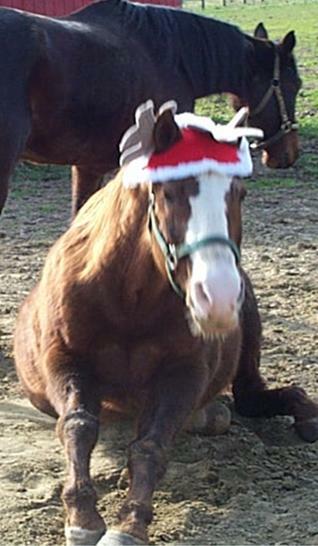 Season’s greetings friends and “neigh”bors! The holiday season is upon us and I am so excited! Nothing can compare to some soupy, hot bran mash on a chilly night, or one of those sweet and crunchy candy canes that I love so much. But it’s most important this time of year to show how much we appreciate the people we love; after all, it’s better to give than to receive! (Or is it?!) Well luckily, the Rutgers Equine Science Center has come up with some great ideas for gifts this holiday season so you can give and receive simultaneously! Something strange happened the other day when my friend Magic and I took our annual trip to the apple orchard. There we were, happily munching on the “fruits” of our labor, when I saw something whiz past my head and go straight for Magic! I wanted to yell, “Magic, look out!” but my mouth was full of applesauce and before I knew it, the buzzing insect landed right on his nose and STUNG! Magic threw up his head and snorted in reaction to this unpleasant surprise…my poor friend had been caught completely off guard! As much as it is unfortunate that this blog post comes at my friend’s expense, it is important to let you in on the “buzz” about these pesky insects so you don’t have your own unfortunate encounter. …get out of the sun! While most of my human friends can enjoy the air conditioning on a hot and humid day, I seek the shade of a tree or run-in shed to keep cool. 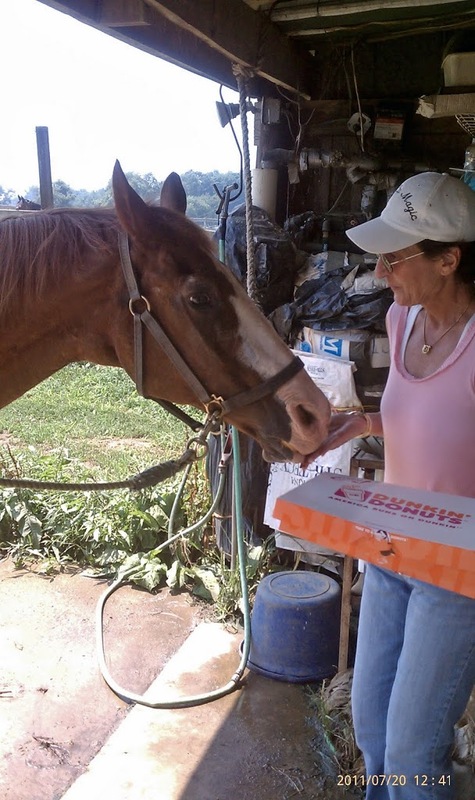 This heat is tough on any horse, and since I’m (a little) older than most, I have to be especially careful to be sure I’m consuming enough calories to keep my body functioning and maintain a healthy body weight. 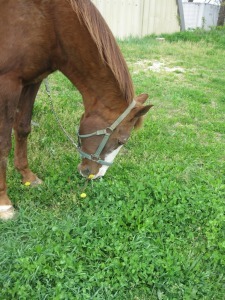 Some horses may lose as much as 7 to 10 percent of body weight in sweat per hour in extreme temperatures. 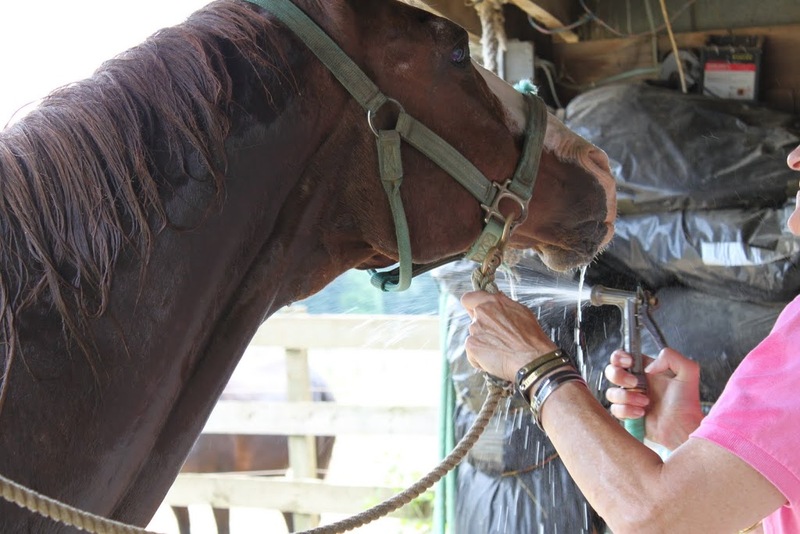 That’s about 9-10 gallons of horse sweat…gross! Dr. Malinowski keeps my diet high in calories by increasing my grain, adding corn oil to my feed, and feeding me a wide variety of…doughnuts! Looking for something fun to do next week? 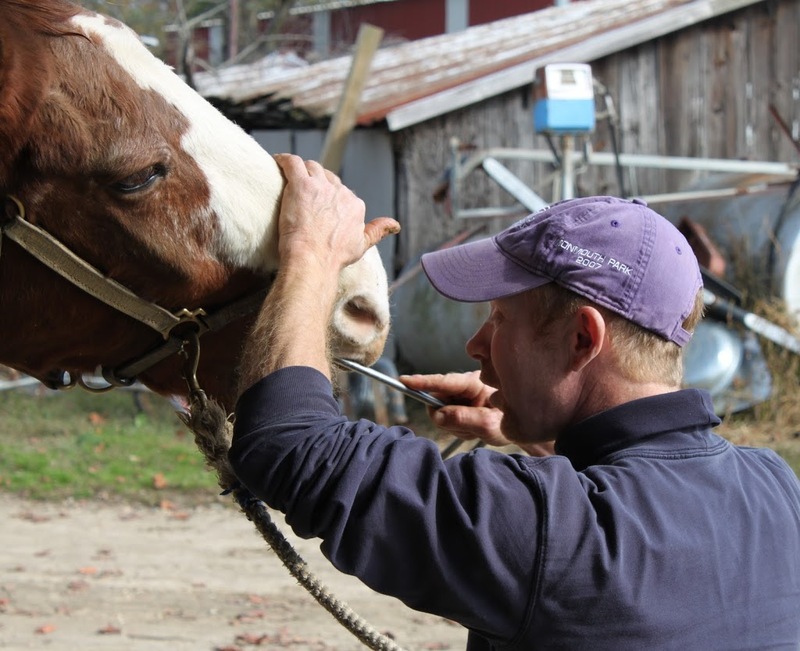 Come to the Equine Science Center’s Open House from 12 pm to 1 pm on Tuesday, July 12th at the Equine Exercise Physiology Laboratory on College Farm Road on the George H. Cook Campus in New Brunswick! 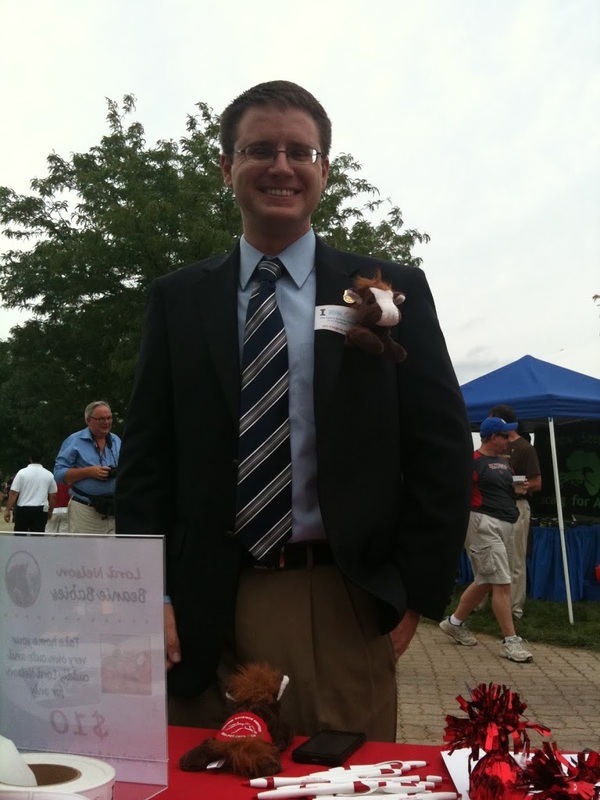 If you ever were curious about what we do at the Equine Science Center, this is a great event for you to find out! 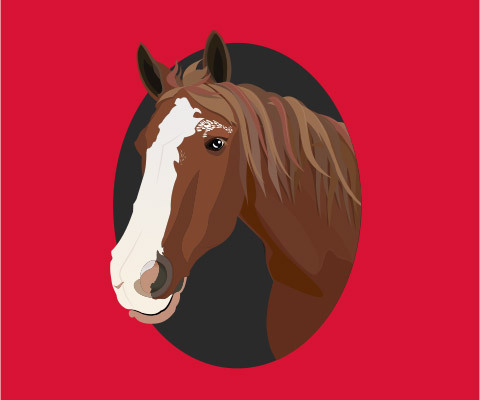 Join Dr. Karyn Malinowski as she explains why horses make such great research models for exercise physiology and the various types of research we do at the Center. Guests will also be able to see one of the research mares gallop full speed on our 21-foot equine treadmill…what a treat! This event is free of charge, but it is asked that you pre-register by calling the Equine Science Center at (732) 932-9419. You know how important it is to protect yourself from the harmful effects of the sun, but what you probably don’t know is that horses can get sunburned and need protection as well. 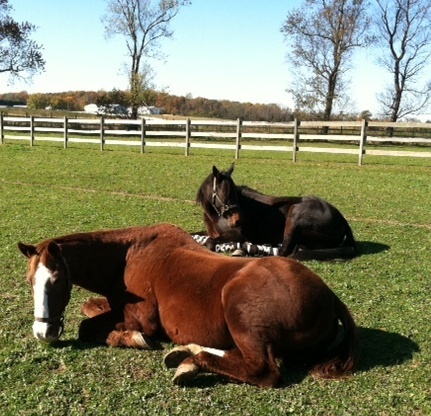 You might be thinking: “Doesn’t a horse’s haircoat shield their skin from the sun?” While this is mostly true for horses that are dark in color, lighter colored horses (particularly appaloosas and paints) are especially susceptible to sunburn due to the lighter pigmentation of the skin. 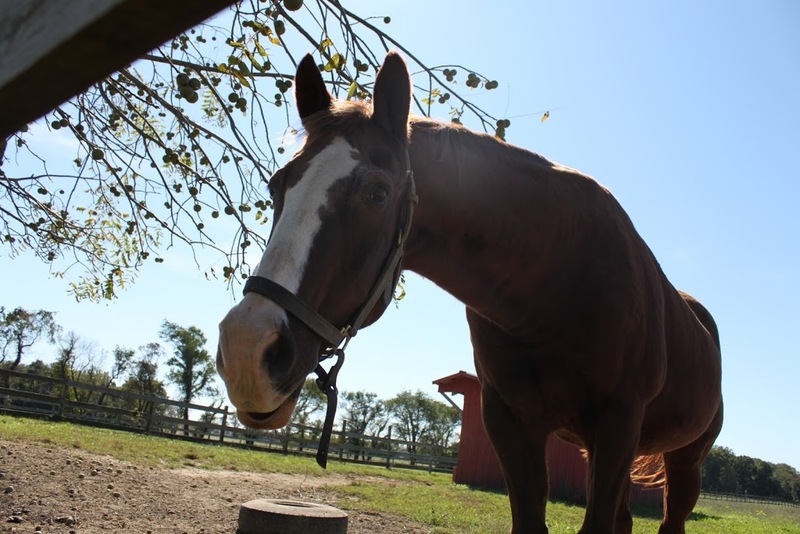 Horses do not experience the full body burn that humans can get when overexposed, but specific areas of a horse’s body are also more prone to sun damage, particularly regions with little hair such as the eyes and muzzle.